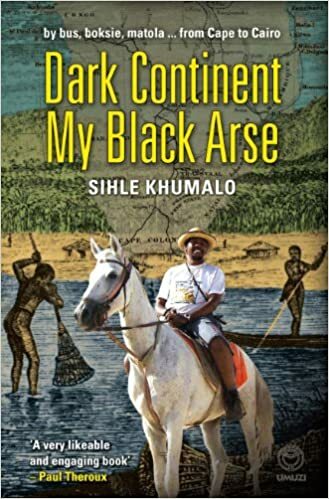 In 2003 Sihle Khumalo decided to give up a lucrative job and a comfortable life style in Durban and to celebrate his 30th birthday by crossing the continent from south to north. Celebrating life with gusto and in inimitable style, he describes a journey fraught with discomfort, mishap, ecstasy, disillusionment, discovery and astonishing human encounters. A journey that would be acceptable madness in a white man is regarded by the author’s fellow Africans as an extraordinary and inexplicable expenditure of time and money. Newly conscious of language barriers and regional difference in a continent still unexplored by the majority of Africans, the author presents a strikingly original and highly enjoyable account of a unique adventure. Each chapter is prefaced by a description of the ‘father of the nation’ of the country in question and ends with a hilarious ‘important tip’.